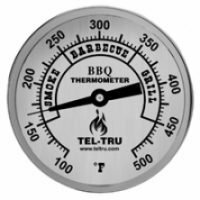 Tel Tru 5″ dial BBQ thermometers include both the BQ500 and BQ575 models. 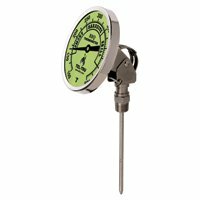 These huge faces are great for monitoring your pit temperatures from a long distance away. 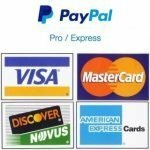 These are designed for commercial and competition type BBQ pits but they can also be used by the backyard pit master. 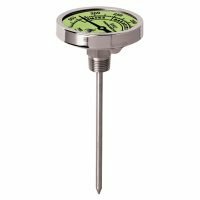 The Tel Tru BQ500 models have a fixed stem and are made to be placed at grate level. The BQ575 has an adjustable face so that it can be mounted higher up or on top of the smoker. Stems on the large face BBQ thermometers can be 4 or 6 inches long.